As a woman who teaches and preaches the Bible, 1 Timothy 2:12 is a verse in the New Testament that I regularly get asked about. I’ve talked about it many times, but have been a bit reluctant to commit pen to paper (or fingers to keyboard). Why? Because I love the Bible and want to take it seriously and interpret it faithfully and part of that means reading it as a whole rather than focusing on a single verse out of its wider context. Because more has been written about that one verse than most others put together and there may not be anything new to say. Because my thoughts are nuanced and have developed over time and may continue to do so, whereas the written word is ‘frozen’ in time and can therefore be misinterpreted as ‘final’ and ‘complete’. Because I haven’t wanted to be judged and put in a box based on my thoughts on one single topic. Because people might think that I am just trying to justify myself. But in the end, I’ve realised that not saying something can lead to people making just as many assumptions and misinterpretations. That some people have been told there is only one way to interpret that verse and thus assume my practice must therefore indicate that I don’t believe the Bible. That nuance and wrestling shouldn’t preclude written conversation. That the affirmation and encouragement of women to use their God-given gifts for the benefit of the church and the world is just too important to worry about what those who disagree with me will say or think. Perhaps for some similar reasons, the movement of churches I am part of is holding a symposium in a couple of weeks to articulate our biblical and theological perspective on why we support and encourage both women and men into pastoral ministry. And so in the lead up to that, I have finally put pen to paper (okay, fingers to keyboard) and written a paper I’ve called “Women, Preaching, the Bible and 1 Timothy 2.” It’s a lot longer than a normal blog post, because how else do you give broad context and provide nuance? It’s built on the work of others but also contains my own personal thoughts. It’s been reviewed by some peers I respect and trust but no doubt contains thoughts others will disagree with. In the end, we are dealing with a complex matrix of biblical, theological, historical, and cultural issues when talking about women, preaching, and the Bible. We need to put our discussion into this wider context rather than assume that there is a ‘proof text’ that settles the question. I believe that the Scriptures affirm the calling on women and men to receive the gifts of the Holy Spirit and to respond to both the call of God and the need of the world for faithful proclamation of the gospel. I believe we can wrestle with the texts that have been used to limit this calling in ways that are hermeneutically consistent and evangelically faithful and come to more generous conclusions. Let us preach the Word of God that Jesus might be known. And let us raise up the next generation of Marys, Phoebes, Junias, and Priscillas to play their part in the flourishing of the church, the witness of the kingdom, and the demonstration of the new creation yet to come. 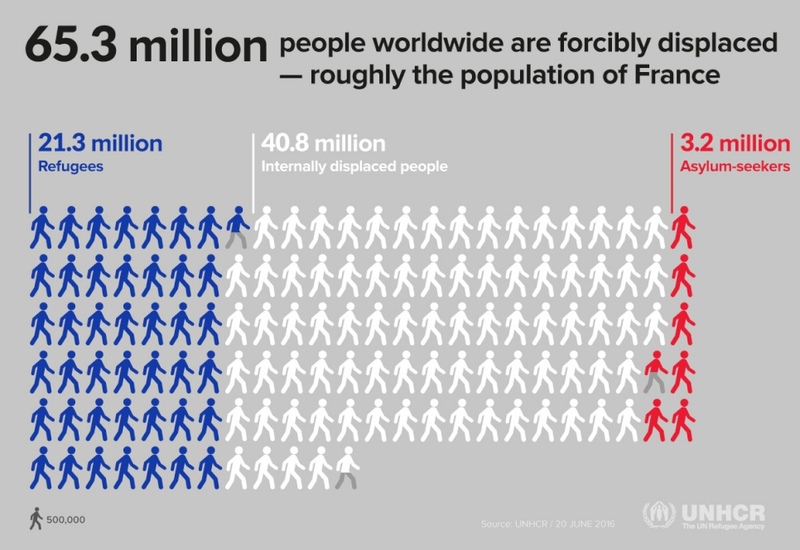 Some thoughts from World Refugee Day three years ago … still very relevant, although the number of refugees and displaced persons worldwide is now well over 65 million and rising fast. The UN General Assembly agreed in 2000 that June 20, today, would be celebrated as World Refugee Day. It is designed to be a day on which the world takes time to recognise the resilience of forcibly displaced people throughout the world. It is good to celebrate. We can often think of people who have had to flee their home country due to war or persecution primarily in terms of their suffering. But so many refugees show themselves to be not only resilient, but incredibly gracious and compassionate, going on to make incredible contributions to the lives of people in their new home countries and around the world. This past week has been a significant one in our Australian national calendar: Reconciliation Week. This year there have been a number of important anniversaries as part of this, including 20 years since the “Bringing Them Home Report” on the Stolen Generation was tabled in federal parliament, 25 years since the High Court’s “Mabo” decision on native title, and 50 years since the referendum which gave indigenous Australians basic citizenship rights. I’ve found it helpful to take various opportunities this week to listen to and learn from my Aboriginal brothers and sisters. 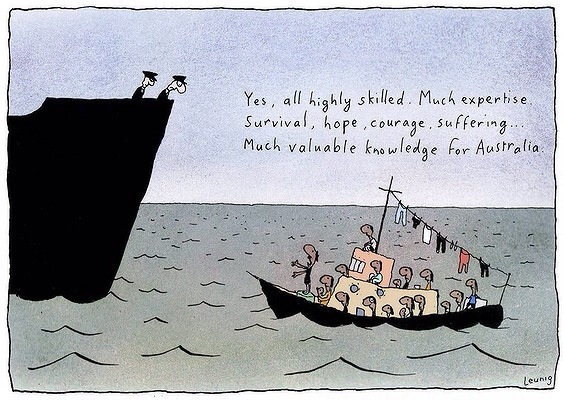 And in particular, to listen to their voices on what Reconciliation Week means going forward. We don’t mark these dates simply to remember the past; we mark them to acknowledge that this is our story and to ask what it looks like to live out of that story on into the future. How does it shape us and how will it change us? These cannot just remain dates on the calendar. They need to lead to action. I think the church calendar works in a similar way. 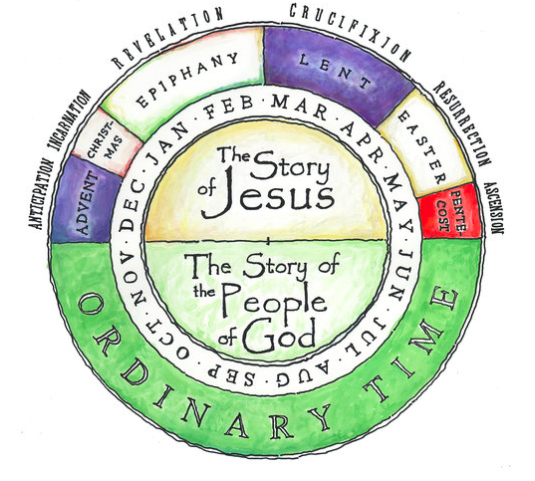 For two thousand years, Christians around the world have marked various dates throughout the year to remember and re-tell key events from the life of Jesus, not just to celebrate or remember what happened on those dates, but to say that this is the story out of which we live and to ask how these particular events shape and transform us. As a Baptist, I have usually only celebrated the main ones of these such as December 25, the Friday before the first Sunday after the first full moon after the vernal equinox (otherwise known as Good Friday) and Easter. But there are other parts of the story that continue to shape how I live. This year I have had the privilege of preaching on both Ascension (last week) and Pentecost (this Sunday). I have been challenged by the life-altering, world-changing consequences of what happened on these days. I have proclaimed the truths I believe that the man Jesus Christ has been crowned as the reigning King over all creation and that the Holy Spirit has been poured out on women and men, Gentiles and Jews, young and old, in order to invite us into the very life of God and to empower us to live out His character and commands here and now. These truths cannot just remain dates on my calendar. They are the radical reframing of reality in which I choose to live. They change my perspective on who God is, on who I am, and on how the world works. The story they tell must shape the way I live and engage with others. After Pentecost, the church calendar now enters a new season, its longest season, often called Ordinary Time. Ordinary Time is a reminder that the big moments and occasions we celebrate are lived out in the reality of our day to day lives. Whether it is our national story or our faith story, the challenge is to step into our everyday moments and encounters with transformed purpose and renewed commitment that comes from the fact that we live out of these stories, not just with gratefulness for the events they remember but with hope and anticipation for the renewed future they envisage.